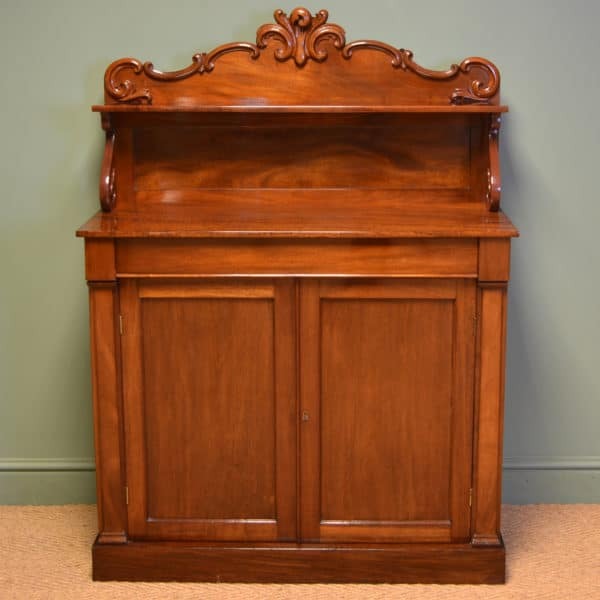 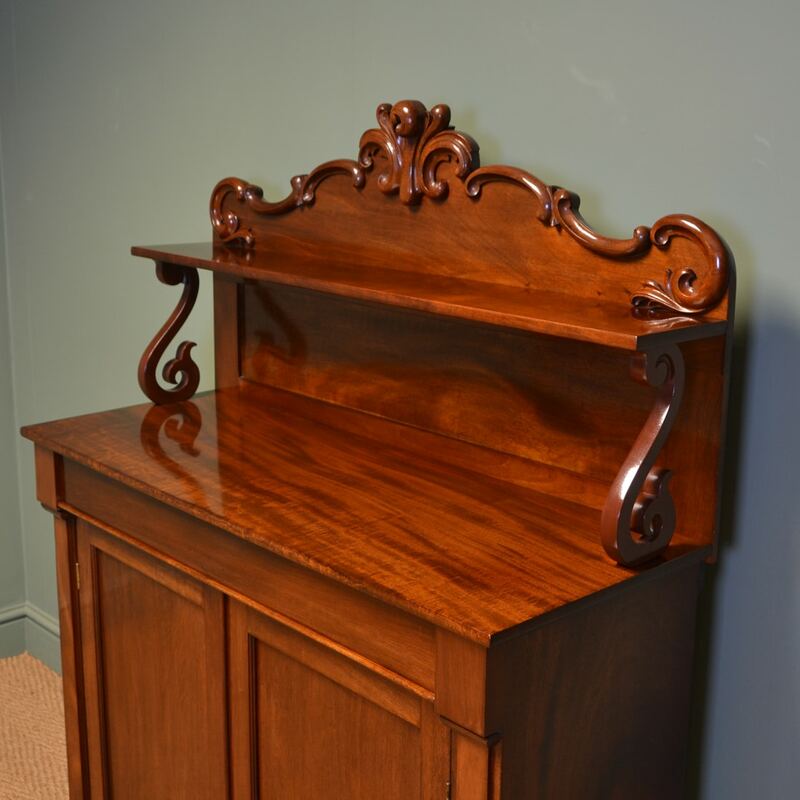 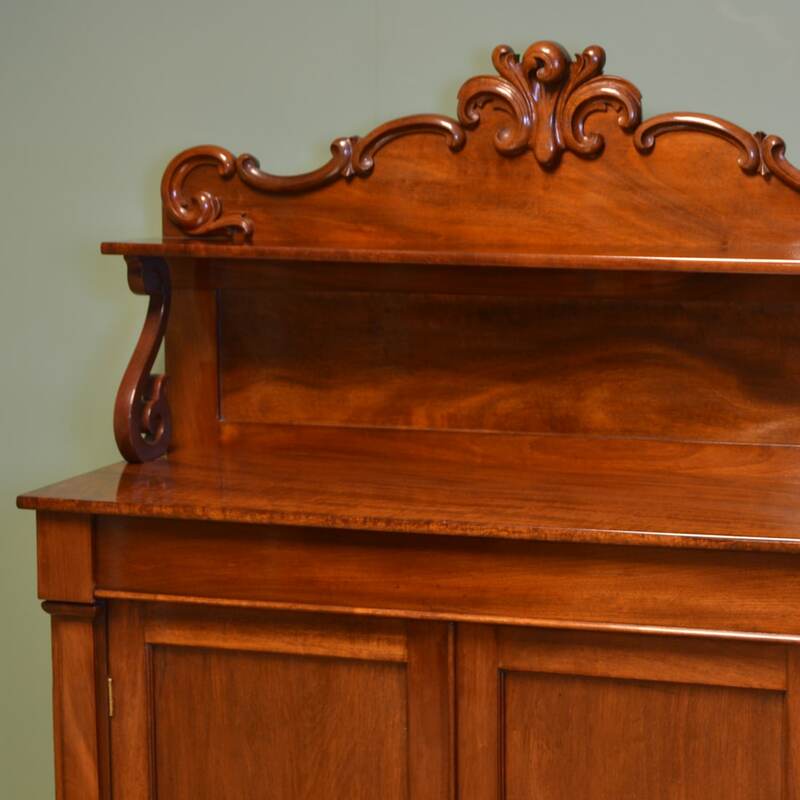 This fine quality figured mahogany antique chiffonier, circa 1840 has a raised beautifully scrolled carved back with shelf and scrolled side supports above a beautifully figured top. 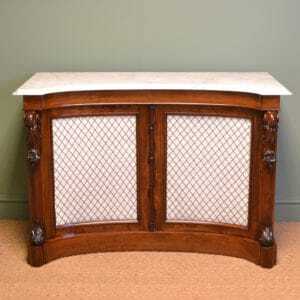 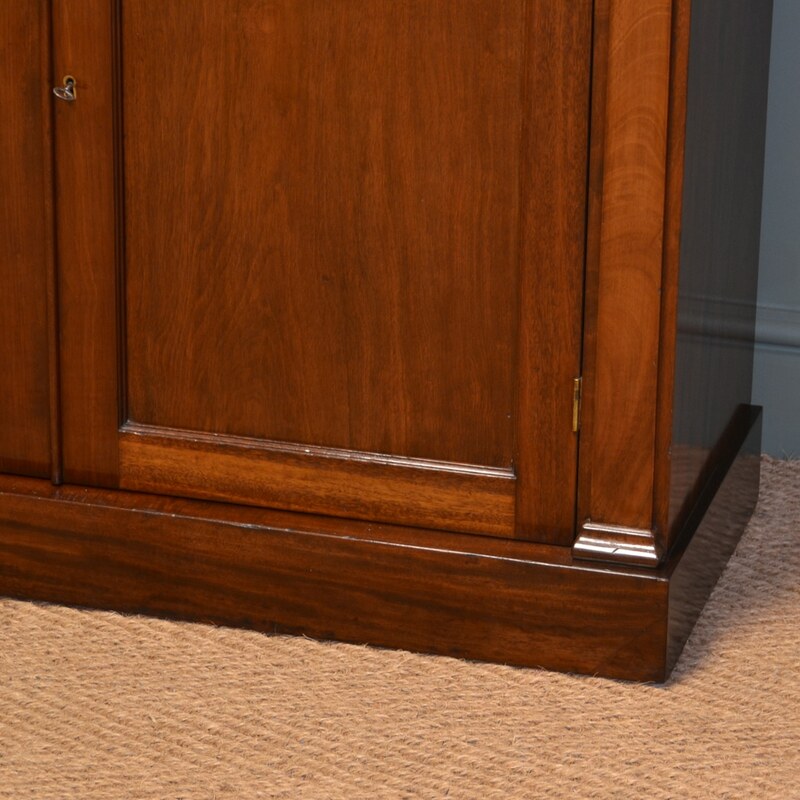 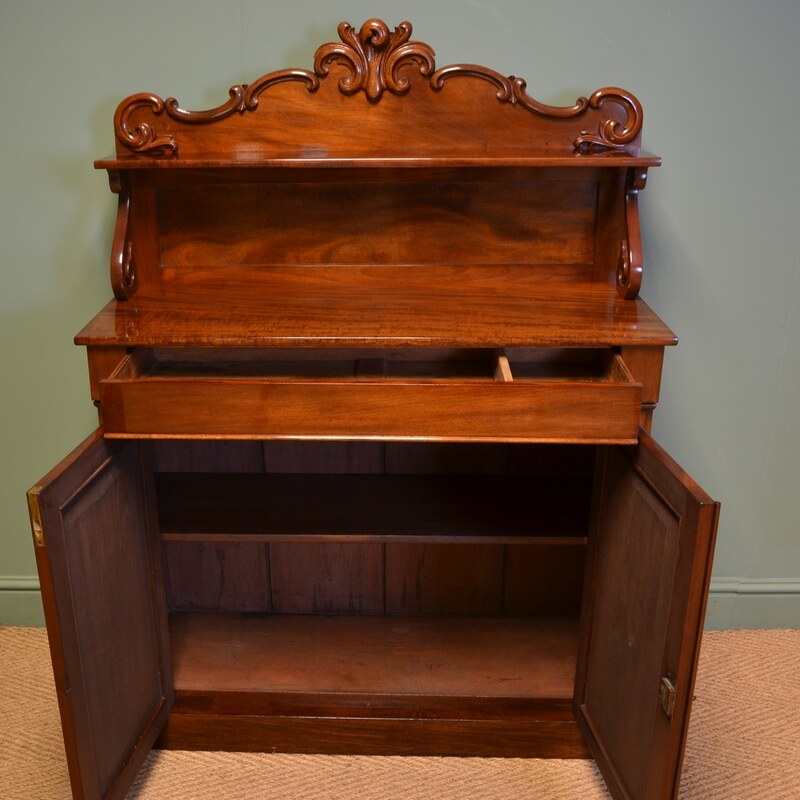 Beneath is a frieze drawer above two beautifully figured cupboard doors with key with working lock, the sides have pilasters and this quality piece stands on a plain plinth. 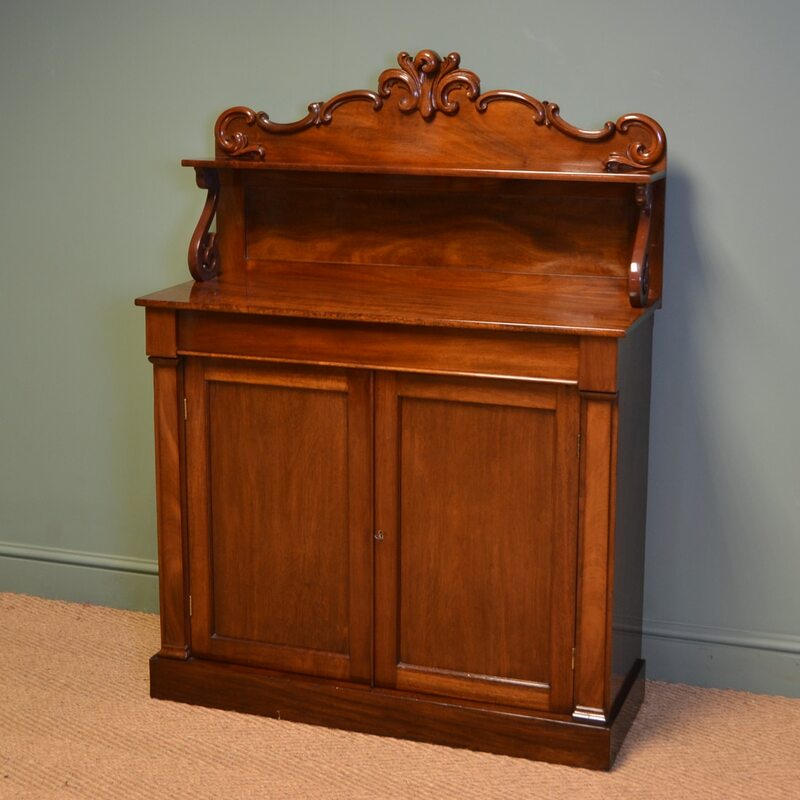 This fine quality figured mahogany antique chiffonier, circa 1840 has a raised beautifully scrolled carved back with shelf and scrolled side supports above a beautifully figured top. 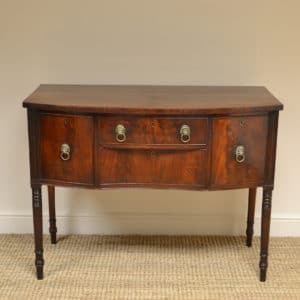 Beneath is a frieze drawer above two beautifully figured cupboard doors with key with working lock, the sides have pilasters and this quality piece stands on a plain plinth. 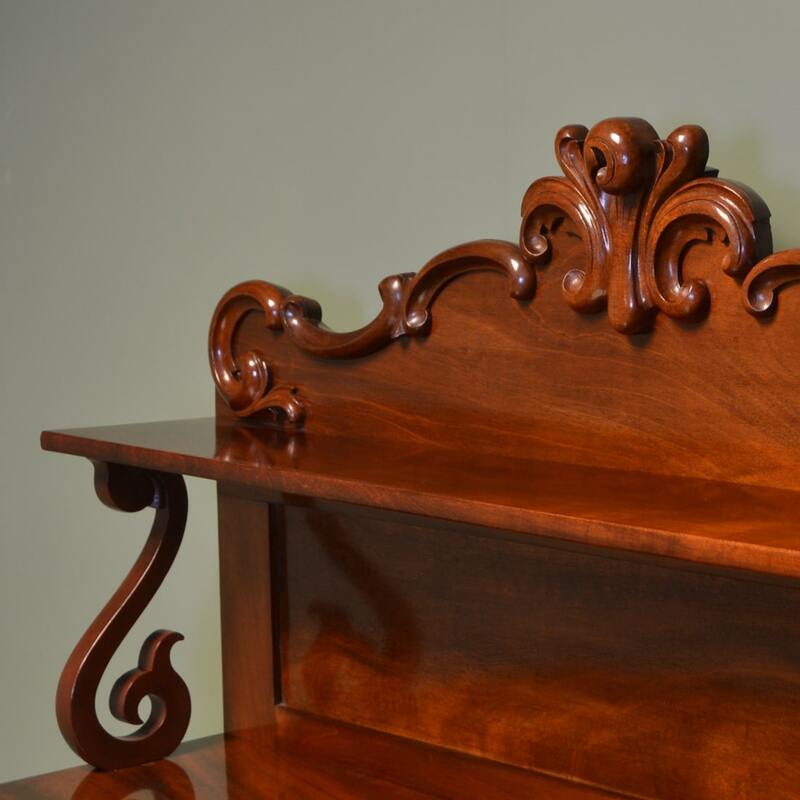 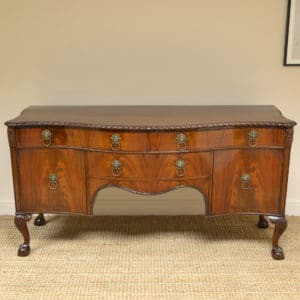 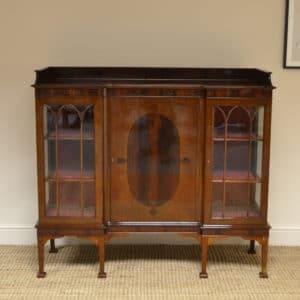 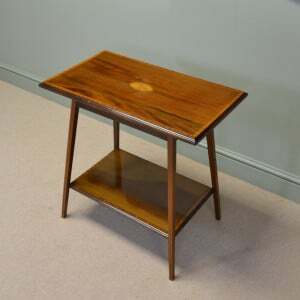 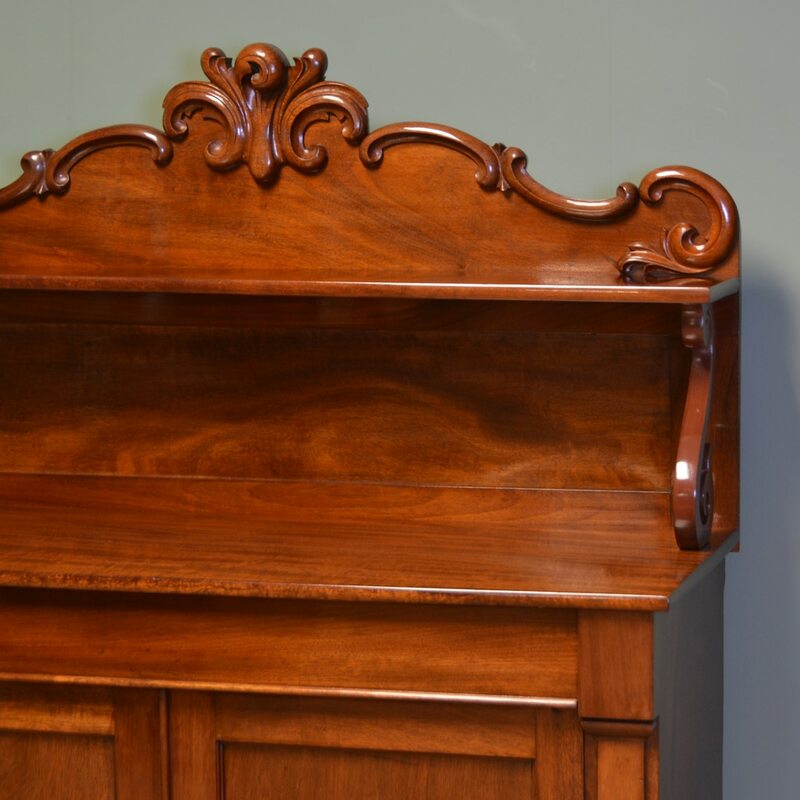 The interior comprises of one removable shelf and the mahogany has aged has aged to a rich shade with a striking grain, good patina, is in very good condition and has been beautifully cleaned using a traditional form of wax finishing.